Provide comfort for the family of Rosemary Evans with a meaningful gesture of sympathy. Rosemary J. (Hennigan) Evans, 90, a longtime resident of Chelmsford, recently of Nashua, passed away peacefully at The Bridges at Nashua on March 24, 2019, surrounded by her loving family. She was the beloved wife of the late Robert W. Evans, Sr. who passed away in 1975. Born in Somerville on January 13, 1929, she was a daughter of the late William Hennigan and Mary (Devlin) Hennigan. Rosemary was raised in Somerville and lived for many years in Chelmsford until moving to Nashua 18 years ago. 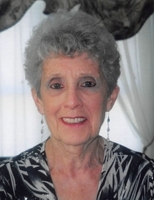 She enjoyed bowling in a league at the Brunswick Lanes in Lowell and was an avid golfer and member of the Chelmsford Country Club. At the Billerica Senior Center, Rosemary enjoyed meeting friends to participate in all of the activities, especially dancing and pool. She was an avid fan of all the Boston sports teams. Most of all, she enjoyed spending time with her family. Rosemary is survived by her son Stephen Evans and his wife Alicia of Nashua, NH, her daughter-in-law Pat Evans of Nashua, her brother Joseph Hennigan of Londonderry, NH, her sisters; Barbara Meehan of Burlington, Joanne Dussault and her husband Mel of Nashua, NH, Anne Fearing and her husband Bob of Methuen, and her brother-in-law Ed Burke of Billerica. She leaves her grandchildren; Brooke, Alex, and Cody Evans, Ryan Campbell and his wife Tammy, Courtney Bodington and her husband Justin, Brittany LeFluer and her husband Chris, Ashley Evans and her fiance Bill Derr, Robert W. Evans III and his wife Jenny, and Tyler Evans and his wife Shannon, and her great-grandchildren; Sophia, Izzy, Brody, Luna, and Harper. She also leaves many nieces and nephews. 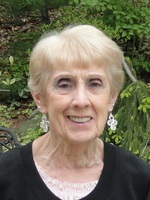 Sadly, Rosemary is predeceased by her sons; Robert W. Jr. and Scott Evans, her daughter Donna Campbell and her husband Mark, her brother, Paul Hennigan, her sisters; Patricia Carley and her husband Emerson, Dorothy Rossetti and her husband Francis and Ginny Burke, her sister-in-law Marge Hennigan, and her brother-in-law Mickey Meehan. Visiting hours will be held on Wednesday, March 27, 2019 from 4:00 - 7:00 pm at the Blake Chelsmford Funeral Home, 24 Worthen St., Chelmsford. A Mass of Christian Burial will be celebrated on Thursday, March 28, 2019 at 11 o'clock at St. Mary Parish, 25 North Rd., Chelmsford. KINDLY MEET AT THE CHURCH. Interment will follow in Pine Ridge Cemetery, Chelmsford. To plant a memorial tree in honor of Rosemary J. Evans (Hennigan), please visit our Heartfelt Sympathies Store. We encourage you to share your most beloved memories of Rosemary here, so that the family and other loved ones can always see it. You can upload cherished photographs, or share your favorite stories, and can even comment on those shared by others.